As part of the United Kingdom’s exit from the European Union (Brexit), the country will also leave the Euratom Treaty. While not generally considered a major issue by the wider public, “Brexatom” could have serious repercussions for medicine, nuclear energy, research and the protection of nuclear materials. The pivotal issue is the future nuclear safeguards regime and its related arrangements in the UK. In 1957, the Euratom Treaty was signed, creating the European Atomic Energy Community, EURATOM. The now 60-year-old treaty has survived numerous institutional reforms and as many as seven “enlargements”. From the original six Member States, it now applies to all 28 members of the European Union. This includes the UK, which joined during the first enlargement in 1973. Furthermore, the EU today is in a very different political, economic and industrial background than the one which prevailed in 1957. 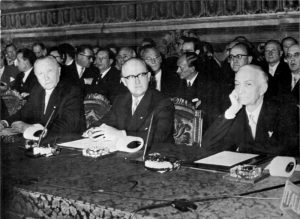 Signing of the Euratom Treaty in Rome, 25 March 1957. Shown here, from left to right: German Chancellor Adenauer, who signed for the Bonn government, German State Secretary Hallstein and Italian Prime Minister Antonio Segni. Image source: German Federal Archives (Allgemeiner Deutscher Nachrichtendienst), via Wikimedia Commons. Against this background of regular expansion or extension of the EU, a major and unprecedented event occurred in 2016. British citizens voted in a national referendum to leave the European Union, in a move now known as “Brexit”. The process started formally on 29 March 2017 and should be completed by 30 March 2019. The impacts of Brexit will cover almost every imaginable aspect of politics and law, including those governing the nuclear sector. Brexit threatens to strongly impact nuclear energy development and trade in the UK. The first question raised following the UK referendum was, “can the UK remain within EURATOM while leaving the EU?” The term coined for the UK leaving EURATOM is “Brexatom”. Most lawyers and political scientists agree on the fact that Brexit necessarily implies Brexatom. While it has been suggested by UK-based lawyers that a legal case could theoretically be made for continued EURATOM membership outside the EU, it is generally widely accepted that this cannot happen. This view is recognised in the recent debate in the House of Lords on the proposed Nuclear Safeguards Bill (March 20, 2018). The debate ended in a significant government defeat, with the Lords requiring that the UK’s exit from EURATOM be suspended until the necessary international agreements and domestic arrangements were made. Remaining within EURATOM would require the UK to retain some oversight and control by the European Court of Justice (ECJ). This would be politically very difficult for the UK, as for many politicians it is imperative that the UK will no longer be subject to the ECJ following Brexit. As such, the UK government’s position is that the UK will leave EURATOM when leaving the EU. Likewise, from the EU perspective, it is highly unlikely to be considered acceptable to allow divergence between EURATOM and the European Union. This view is reflected in the Draft Agreement sent by the EU to the UK on Brexit and Brexatom. The exchange of expertise and personnel. Unlike almost any other of the Brexit process, the impacts of Brexatom would be felt instantaneously as the UK leaves EURATOM and the EU. In the particular case of nuclear medical isotopes, used in many diagnostic and treatment applications, a stoppage in trade could be devastating, as doctors and patients will no longer be able to import these materials. Currently these medical radioisotopes cannot be produced in the UK, and many of them have a shelf-life of only a few days. Without replacement Nuclear Trade Agreements in place by the time of Brexatom, access to these vital materials would be lost. 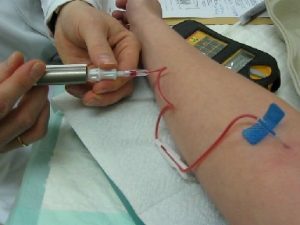 Injection of the medical radioisotope Technetium-99m, used for various diagnostic techniques. The injection syringe is shielded. Technetium-99m is produced from the radioactive decay of molybdenum-99, whose longer half-life of 66 hours allows it to be produced and transported more conveniently than technetium-99m, whose half-life is only 6 hours. However, even using molybdenum-99 means that within 19 days of production, over 99% of the material will have decayed. Without new supplies, within three weeks of Brexatom, such diagnostic techniques will no longer be possible. Cancer treatment isotopes have an even shorter half-life than technetium-99m. Image source: Bionerd, via Wikimedia Commons. While there are many aspects of Brexatom to consider, this ViewPoint will focus primarily on nuclear safeguarding, and by extension non-proliferation assurances, as safeguarding compliance influences all of the above concerns, including nuclear medicine, energy and research. One of the major work areas of EURATOM is safeguarding nuclear materials. Although EURATOM’s safeguards aim at checking the conformity of the declarations by operators with the physical reality, and the compliance with the specific conditions of use of nuclear materials set by supplier countries, EURATOM safeguards do contribute to the non-proliferation assurances delivered by IAEA. Nuclear proliferation is the spread of nuclear weapons materials and/or technologies beyond the control of the few countries which are recognised as nuclear weapons states. Safeguarding is primarily achieved through dissuasion and the early detection of misuse of nuclear facilities and materials for non-peaceful purposes. The International Atomic Energy Agency (IAEA) is the body in charge of implementing international safeguards. This is in compliance with the Nuclear Non-Proliferation Treaty (NPT). These safeguards are based on reports made by each country signatory to the NPT and through safeguards agreements. Each country has to develop and maintain a “State System of Accounting and Control” (SSAC). An agreement between EURATOM, the IAEA and the UK. 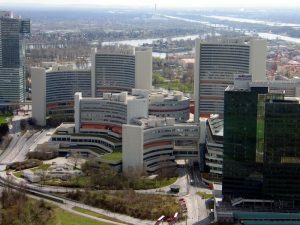 The headquarters of the International Atomic Energy Agency are in Vienna, Austria. The IAEA is the organisation which monitors the States which accept IAEA safeguards for compliance with their non-proliferation commitments and in order to prevent diversion of nuclear materials from peaceful uses. This is in order to prevent the spread of nuclear weapons by early detection of nuclear materials and technology misuse. EURATOM is playing the role of the SSAC for the EU. Many EU countries rely on EURATOM safeguards as their SSAC. France and the UK have separate arrangements as they are recognised Nuclear Weapon States, and thus different commitments under the NPT, where only certain facilities are considered under the scope of IAEA safeguarding through Voluntary Offer Agreements (VOA). The consequences of the UK leaving the EURATOM nuclear safeguards regime will be significant. The international commitments undertaken by EURATOM towards supplier countries through “nuclear cooperation agreements” are fulfilled. The UK membership of EURATOM resulted in the implementation of EURATOM safeguards in all of the UK’s peaceful nuclear activities. The IAEA draws its own, independent conclusions from its inspection and verification activities. However, EURATOM plays an important cooperation role within the remit of the UK/EURATOM/IAEA trilateral safeguards agreement. Membership also brought the UK into all EURATOM nuclear cooperation agreements with third countries. This facilitates the trade and transport of nuclear material to/from those countries and with the other EURATOM members. Negotiate or renegotiate cooperation agreements with nuclear suppliers. The concerns at this point cover three major aspects. The readiness of the UK administration to implement equivalent “national” safeguards to those currently performed by the EURATOM system. The UK government’s readiness may well be a concern and some consider that establishing a State system of accountancy and control (SSAC) would be a challenge. As Dame Sue Ion told the Business Energy and Industrial Strategy Select Committee of the House of Commons at the end of February 2017, “the issue is the timing”. To address this the UK government drafted the Nuclear Safeguards Bill, which was introduced in November 2017 and is currently at its final stage of examination by the House of Lords. The legal process is progressing well. Under the planned arrangements, the UK Office for Nuclear Regulation (ONR) will assume the new safeguards responsibilities and activities. The ONR is currently in charge of UK nuclear safety, security and some existing safeguards roles. However, it will require additional staff, funding and reorganisation in order to discharge these new obligations. The UK is a strongly-skilled nuclear nation that historically developed a powerful nuclear industry and first-class industry expertise. It should therefore be in a good position to implement an efficient safeguards system if it decides to devote the necessary effort and budget. The UK nationals working as EURATOM staff in safeguards could be incentivised to cooperate with their government in developing and deploying the new UK safeguards system. 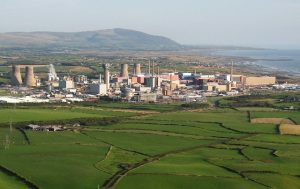 As the location of the UK’s spent nuclear fuel reprocessing facilities and separated plutonium inventory, the Sellafield site in Cumbria is subject to strong nuclear safeguarding controls, maintained by EURATOM. Image Source: Simon Ledingham, via Wikimedia Commons. The second option would minimise the efforts for the SSAC to what is strictly necessary to comply with the terms of the agreements with the IAEA and main supplier countries that are under negotiation. A full-fledged SSAC system based on EURATOM safeguards standards and covering all peaceful nuclear activities is the recommended option. A provisional way to help manage the implementation challenge in the short term, might be for the SSAC to focus on a subset of the “obligated material” (referring to such materials that were supplied under peaceful use commitments). The UK could negotiate with the IAEA regarding the designation, at least temporarily, of a limited selection of facilities at which to deploy UK SSAC as a priority. These facilities would be offered for IAEA verification. Practical solutions towards implementation will likely require a transitional period towards full independent UK safeguarding. These could include careful definition of the “qualifying nuclear material”, “qualifying nuclear facilities” and “qualifying nuclear equipment” that will be provided for in subsequent regulations. The “equivalence” and “fungibility” principles will also be helpful, allowing for certain materials to be treated as equivalent under safeguarding regulations. Is it realistic or not to expect that the UK will complete negotiation and ratification processes with the IAEA and the main suppliers within 12 months? Negotiations involving one State should without doubt progress more swiftly than when the EU, EURATOM or any multilateral party is involved. However, one should consider the risks of extended decisional processes in supplier countries which may not prioritise these negotiations. Also, given the number of agreements to be concluded, the negotiating team will face a challenging schedule. Agreements will be required not only with EU members or EURATOM but also with secondary suppliers and/or customers. Some consider the cost of Brexatom to be irrelevant or meaningless, since what was formerly paid towards EURATOM safeguards by the UK will now be spent on the UK SSAC. It may be required that there should not be any additional financial burden for safeguarded facilities. If so, the financial burden for additional SSAC on the UK budget may not be negligible. These costs will need to cover the facilities requirements to submit accounting reports and be subject to inspections and operating “discipline”. The amount spent by EURATOM for the UK can provide estimates for the costs soon to be covered by the ONR. Based on 2014/15 figures, EURATOM spent 983 inspection days (PDI) in UK facilities. This represents 26% of the total PDI in the EU. Based on a proportional allocation of the €23 million annual budget for 2015, which includes services, equipment and inspection effort, a gross calculation of the amount spent for the UK brings the total to just under €6 million. NucInfo infographic showing the distribution of inspection visits (inner pie) and inspection days (PDI, outer pie) in EURATOM member states in 2014. The UK accounts for 26% of the 3792 annual inspection days. Select/hover over segments of the PIE charts for further details. Data from NucInfo and Report on the Implementation of Euratom Safeguards in 2014. In 2014, the UK only contributed 9.73% of the total EU budget. Thus, the proportionate share of the UK contribution to the EURATOM safeguards budget would amount to €2.25 million. This represents only slightly over one third of the UK safeguarding costs. While these are only gross calculations, it is most probable that the UK government and tax payer, or possibly nuclear industry, are going to bear the cost of safeguarding. Additional costs in the range of €4 million/year are anticipated. EURATOM will likely be the financial winner of Brexatom, with ~25 % less inspection effort and only a 10 % budget reduction. A disadvantaged stakeholder may be the IAEA, as it is likely that the agency will have to support increased inspection efforts and costs in order to apply an equivalent level of safeguards in the UK once Euratom leaves the trilateral (UK / EURATOM / IAEA) safeguards agreement. As a result, it is possible that IAEA may seek a UK contribution to its budget. This would be, for example, to install and maintain the necessary independent safeguarding equipment which would no longer be available in those facilities currently safeguarded through EURATOM. Brexatom requires the restoration of a credible national safeguards system to cover all peaceful activities (option 1 above). This will be challenging, but the UK government should be able to find suitable solutions. Brexatom involves renegotiating a Voluntary Offer Agreement with the IAEA before leaving EURATOM. Such negotiations may require a “termination” procedure for the trilateral agreement involving EURATOM and its Member States. This may take some time and EURATOM and the UK will have to agree upon a number of specific arrangements. However, the negotiation of a new VOA will start from the basis of the existing agreement and of similar VOAs. As long as there is no political obstruction, there should still be time to conclude the necessary arrangements. Finally, but more unpredictably, Brexatom will require the finalisation of Nuclear Cooperation Agreements with third countries in order to ensure a smooth import and export of nuclear goods to and from the UK. Before concluding such agreements it is imperative that a valid VOA is in place. The rather standard nature of these cooperation agreements and the fact that the UK is a Nuclear Weapons State will facilitate the negotiation of their content. However, it will be more challenging as a number of negotiations will have to run in parallel in a short time span. It is therefore difficult to predict the time necessary to complete the ratification process in the different countries. Of course, provisional arrangements in the form of waivers may be concluded but it will involve some creativity and political will from the partners. This situation remains risky and will result in additional burden and uncertainty for the operators and may discourage investors. Brexit necessarily takes the UK out of the Euratom Treaty. If the UK leaves EURATOM without suitable replacement agreements in place with the IAEA, the EU and third party countries, there is a significant risk of disruption in the import/export of nuclear materials, skills and expertise. This could have significant negative impacts on medicine, energy and research. While the path forward replacing EURATOM may seem clear, negotiating the numerous agreements required in good time will be challenging. EURATOM currently oversees the UK nuclear safeguards regime. With Brexatom, the Office for Nuclear Regulation (ONR) will assume these responsibilities. ONR will require additional support, funding, staff, skills, tools and equipment in order to discharge these new duties. An addition of approximately €4 million will be required annually for this purpose. Allow third countries and international organisations to more rapidly understand and accept the new arrangements following Brexatom and therefore minimise both the burden for operators and the risks of disruption. Please note that Brexatom is an ongoing issue, and as such information in this ViewPoint may become outdated as the debates and negotiations proceed. We may update this ViewPoint in line with developments. For details of changes made, or to discuss or provide feedback on this ViewPoint, you can visit the Nuclear-21 discussion forum. Nuclear-21’s experience and expertise cover the many, varied and interconnected aspects of nuclear policy, strategy and business development. We seek to bring decision-enriching perspective to our customers by addressing the key topics impacting nuclear decision-making. Within the context of Brexatom, Nuclear-21 brings expertise on the impact policy decisions may have on all aspects of nuclear science & technology applications for the UK, as well as for nuclear stakeholders looking to thrive within the UK’s changing nuclear policy landscape. More information on our services may be obtained by contacting us at info@nuclear-21.net. Caroline currently works as a consultant in international relations in the energy sector, with a special emphasis on nuclear energy and nuclear security. 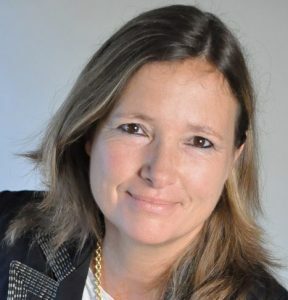 Until June 2010, she was Director for Non-proliferation and International Institutions at AREVA. She spent 13 years in the French nuclear industry, overseeing international institutional affairs and intergovernmental agreements. From 1992 to 1997, she worked at the French Permanent representation to the EU and was the French representative to the Atomic Questions Group in the EU Council. From 1981 to 1992, she worked with the Commissariat Energie Atomique International Department. Caroline received a Master Degree in International Relations from SAIS Johns Hopkins. 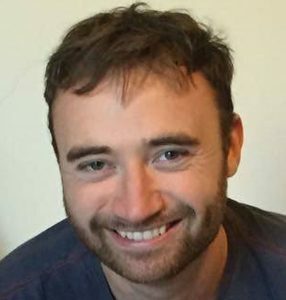 Ross Peel gained his Ph.D. from the University of Sheffield, UK, in the aqueous separation of thorium and the neutronic behaviour of mixed thorium-uranium-plutonium nuclear fuels in heavy water reactors, following from his Master degree in Mechanical Engineering with French, also from the University of Sheffield, which included a year studying at INSA Lyon, France. As part of his Ph.D., Ross spent three months working with AREVA in Paris, developing alternative options for the management of the UK’s separated plutonium inventory. Interested in Nuclear-21 or our ViewPoints? Get in touch via our contact page. We will be publishing our next ViewPoint in April/May 2018, on the prospects for advanced nuclear energy systems in a changing global energy market.